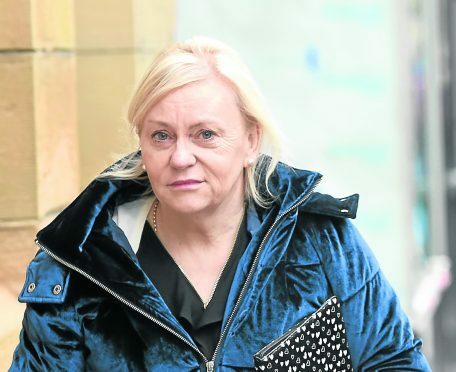 A woman has told a court she suffered a stroke as a result of north businessman’s alleged six-year campaign of fear against her and her family. She also claims that Mr Robberts, whose family runs the Delny Highland Lodges in Easter Ross, parked his silver pick-up outside her home and loitered, sometimes for an hour, up to 50 times in 2011. The alleged offences are said to have taken place over a period between December 13, 2010, and August 14, 2016. But Mr Robberts’ defence solicitor Alison Foggo suggested she could not always see Mr Robberts in his car when it was parked outside, and said he was instead out there building drains. Ms Foggo said to the witness the disharmony between them was a result of an existing civil dispute over her rights of access to land which is owned by Mr Robberts and his family. Mrs Nichol-Andrews, of Amberina Cottage in Tullich Muir near Invergordon, gave her evidence at Tain Sheriff Court yesterday and fought back tears on several occasions. Fiscal depute Robert Weir asked Mrs Robertson, 57, what effect the alleged incidents have had, to which she replied: “Physically, I have had a stroke. That was diagnosed by a neurologist, and my face drooped. I have been rushed to hospital with chest pains through not being able to access my own property. My blood pressure is higher. Mrs Nichol-Andrews, a social work team manager, told the court that two of three access routes to her property had been blocked off by Mr Robberts – one route by an abandoned car and another with padlocked gates. She said Mr Robberts built speed bumps and erected bollard on the other track, as well as upgrading a fence, narrowing a right-hand turn by his property and limiting the size of vehicles able to get through. She added that on one occasion she was forced to take a detour in an ambulance as they could not get through. And on another occasion last summer she claimed the family took their caravan to Belladrum and that, upon returning, a hole had been dug out in the road. She said that the cameras, installed between 20112 and 2016, also made her feel violated. But Ms Foggo stressed that these cameras are on Mr Robberts’s land and that Mrs Nichol-Andrews did not know who had dug this hole in the road. The trial will continue on January 18.